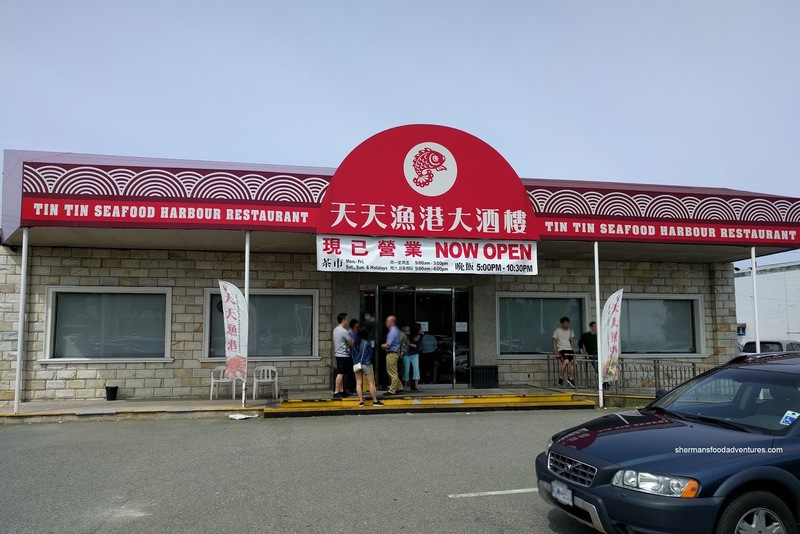 For the longest time, the once consistently good Sea Harbour Restaurant was located as a stand-alone restaurant across from Yoahan Centre on #3 Road in Richmond. It even had its own parking lot, albeit usually overflowing and full. However, it moved into its new home across from the River Rock Casino a few years ago and in my opinion, it has never been the same. You see, Chef Tony He left and opened a brand new upscale Chinese restaurant nearby named aptly Chef Tony. Now where Sea Harbour used to stand is Tin Tin Seafood Harbour. Confused yet? 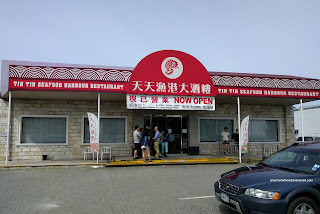 Whatever the case, we have heard good things about their Dim Sum service and since I have yet to hit all of the available Dim Sum spots in Richmond, it was Tin Tin's turn. Although we had made reservations, we still had to wait around 20 minutes for our table. They had warned us in advance and generally this is typical of more popular Chinese restaurants in town. We kicked things off with dessert! 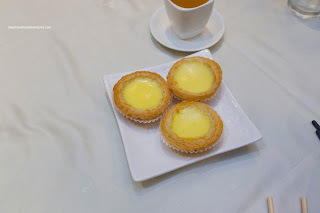 Yes, I did it again, I ordered Egg Tarts and it showed up first (should've ordered this on the second round). These were just alright sporting firm and lightly sweet egg white custard. We found the pastry shell to be flaky but dense in need of more butter or lard. 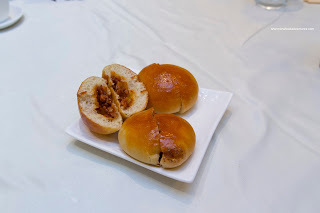 Transitioning into savoury, we had the BBQ Pork Buns which featured a sweet glaze (in an appealing dark red hue) with some saltiness. 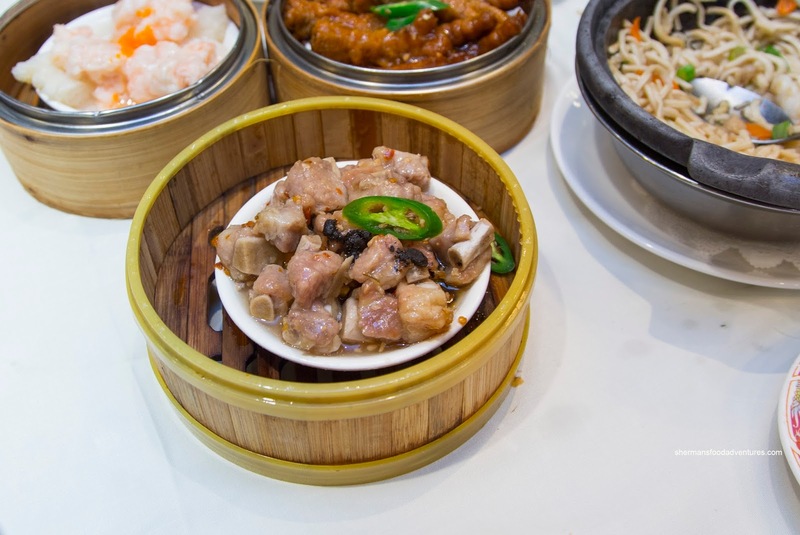 We found the bun to be aromatic and airy while the pork was lean and tender with some hints of alcohol. Finally into something that was full-on savoury, we had the Steamed Pork Spareribs. Most pieces were meaty rib portions that were tender with a bite. Loved that it wasn't over-tenderized so that the bounce-like texture remained. The dish was well-seasoned and the hit of garlic was impactful. From pork, we moved onto the Beef Meatballs. 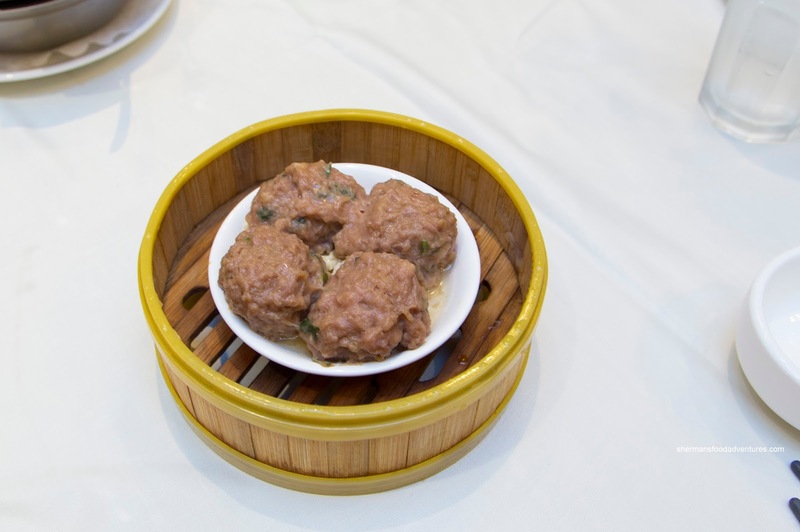 These were buttery soft while retaining a meaty bounciness. Mixed into the processed meat mousse was little bits of beef that added a natural texture and chewiness. There was also a good balance of crunchy water chestnuts and bright green onions. It really didn't matter what we were eating for our first few dishes as we always look forward to the Ha Gau (Shrimp Dumplings) and Siu Mai (Pork & Shrimp Dumplings). The ha gau were on point featuring chewy elastic skin that was just the right thickness. 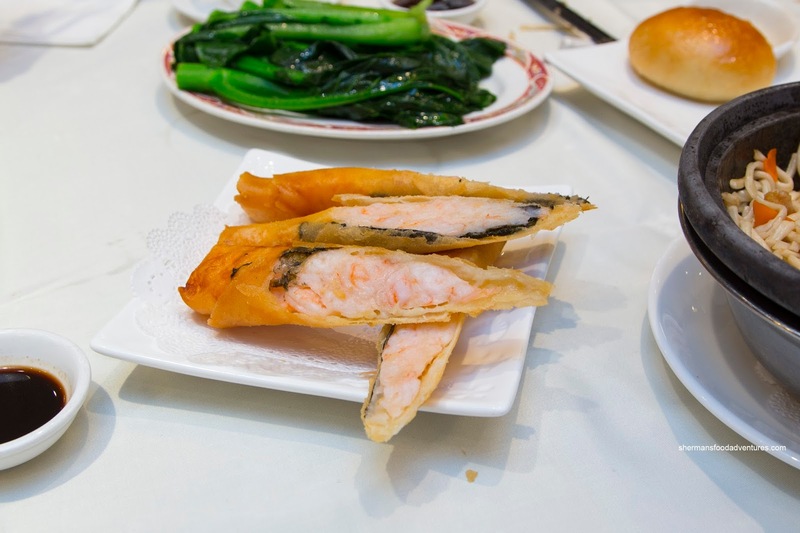 Inside, the filling was predominantly whole meaty shrimp that exhibited a buttery snap with plenty of natural shrimp sweetness and essence. There was minimal salt and a background hit of sesame oil. 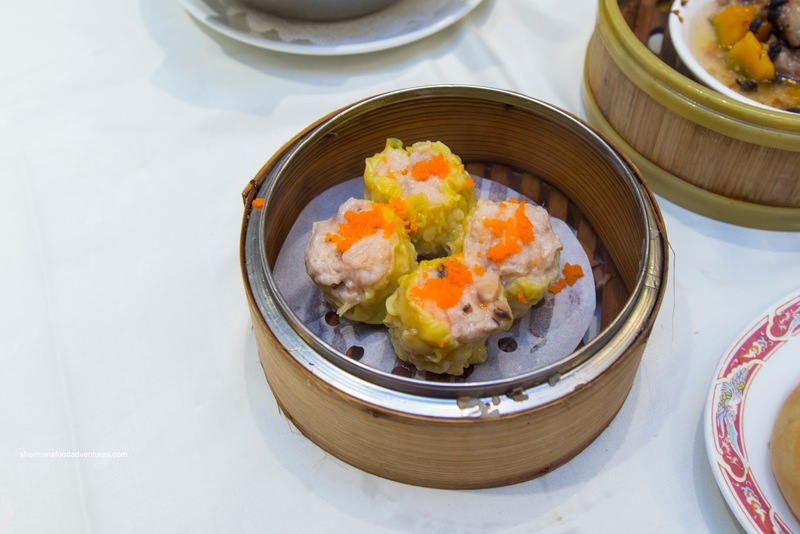 Equally good, the siu mai were buttery and juicy. 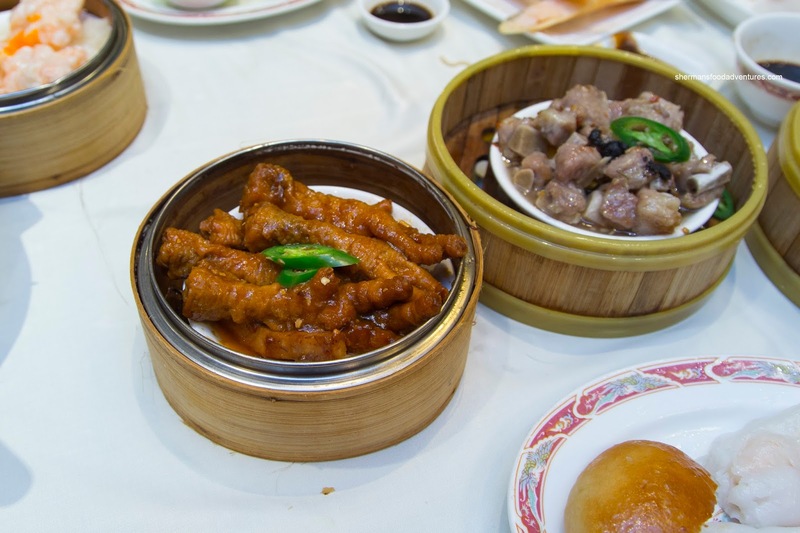 The chunks of pork were bouncy and the shrimp had the same buttery snap as the ha gau. A few bits of shiitake added some Earthiness to an already full-flavoured dumpling. 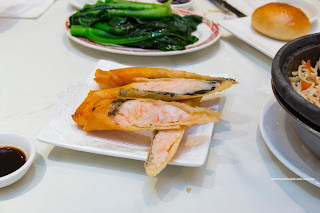 Normally, we find scrawny, unappealing Phoenix Talons at many Dim Sum services, but the one here was nearly perfect. The texture of the skin was just right being chewy yet soft. Since the chicken feet were plump, there was plenty of soft cartilage and fat underneath which wasn't too soft either. The flavours were well-balanced between sweet, salty and slightly peppery. There was also a bit garlic hit too. With a touch less garlic, the Shrimp Spring Rolls were still plenty flavourful. There was the natural sweetness and essence of shrimp (much like the dumplings) to go with the garlic. They were served hot and crunchy with minimal grease. We ended up with the usual 2 Rice Noodle Rolls including shrimp and salty donut (the second one mainly for my son). 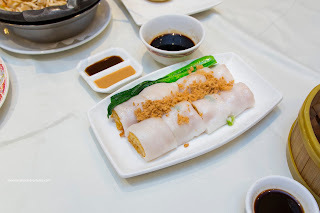 These both featured thick and elastic rice noodle that was a touch dense but was texturally on point. We found the large shrimp (oxymoron?) to be a bit firm where it didn't have the same buttery snap texture like the dumplings and spring rolls. As for the donut, it was crunchy and fresh-tasting (not refried) while being easy on the oil. 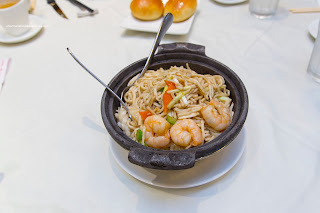 For our carb filler, we got the Seafood Yee Mein Hot Pot. It was a pretty good value for $11.00 where there was plenty of seafood that was not overcooked. The noodles were chewy and slippery while mildly seasoned. This dish was executed quite well. 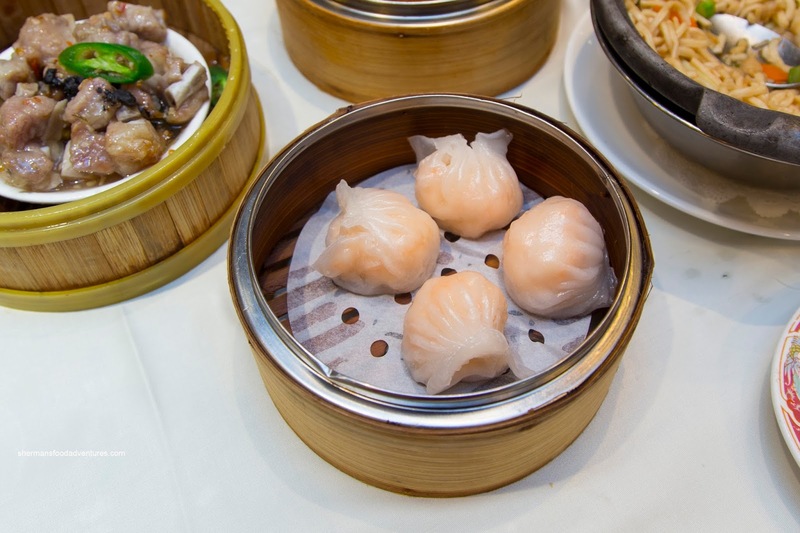 Overall, we found the food to be well-made and well-portioned. Lineups are crazy here, but for a reason.